Windmills and clogs are probably no longer as prevalent as the traditional stereotypes about the Netherlands would have you believe, but if you visit in Spring, tulips and bicycles probably are. These days the Netherlands is probably just as famous for its liberal politics and open minded approach to, well, to a lot of things! Its land grab from the ocean, its art collections and beautiful canal-lining towns and cities. 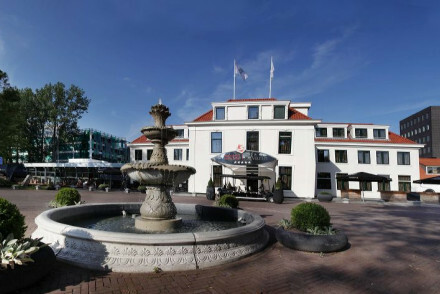 The Hotel Guru's selection of the best places to stay in the Netherlands are all well situated to make the most of this fascinating country. The Dutch have a reputation for height and directness, making it easy to ask for directions. They're also more likely to direct you to the coffeehouse serving the best coffee, rather than the kind teenagers on their first trip away from home might be looking for. Most of the stuff stag-dos are keen on is kept to one part of Amsterdam, conveniently located for the train station, while the rest of the city, and the country, is more about art, heritage, beautiful architecture and design, flowers, sailing, dykes and cheese - to make totally unfair and limited generalisations. The landscape here is iconic and crepe flat. More than half of it is actually below sea level, and 20% of the current land of the Netherlands has actually been dredged from the sea. These reclaimed bits are called polders and they’re a fascinating and unique sight. The Netherlands has long been known for windmills but these days it’s not just the ones with the sails which feature on Delftwear and in songs about mice, these days modern windmills sprout too, helping to sustain the country’s agricultural wealth. The flatness might appeal to you if you fancy biking around. And a lot of people do, both for their day to day travel and intercity. And this popularity of bikes means that the facilities for riders is excellent, with more than 32,000kms worth of cycle paths. As countries go, the Netherlands has one of the world's best art collections. Rembrandt, Van Gogh, Vemeer, Mondrian, Frans Hals, Hieronymus Bosch, there are plenty works by these masters to be seen. Spread across a number of excellent museums. It's not all Dutch Masters either. And the contemporary cultural scene is also well known internationally. The Netherlands is somewhere to be creative in. It's not just great art this country has produced either, there are a number of architectural wonders, and some of the most spectacular gardens imaginable. The Keukenhof Gardens feature on innumerable bucket lists. To get a sense of where this country has come from visit Waterland and the the Zaan Region, where you’ll find the typical old Dutch villages of windmills and wooden houses - and clogs. And the Zaanse Schans Open Air Museum. Amsterdam is wonderful, and worth returning to again and again, but it's also worth taking to the canals, or the bike paths, like the Dutch, and exploring further afield. Visit Edam, for the cheese and the hand-operated drawbridges; modernist Rotterdam, with its world class museums and maritime legacy; Haarlem with its peaceful, canal-side charms; Maastricht for its fantastic museums, the Roman and Spanish ruins and impressive French and Belgian architecture; Vermeer's Delft, with its wonderful old buildings, compact old town and the distinctive blue and white pottery; and Utrecht with its castles and towers. And then there's the famous Den Hague, seat of the Netherland’s parliament and home to the royal family, the embassies and several of the country’s best museums and galleries - but not the capital city. And those are just the ones we've all heard about. Some of the nicest are really best discovered for yourself, along the canal or tulip-lined bike path. Amsterdam’s canals: It goes without saying that you should take a canal trip - there are many choices, from bespoke tours to a range of companies with generous-sized boats offering the classic tour. It also goes without saying that you should visit the flower market and stroll around the inner ring of canals, the Keizersgracht, the Prinsengracht, the Lijnbaansgracht and the Singelgracht. This is where you’ll find many of the charmingly narrow merchant’s houses, the brown cafes and many fantastic boutiques. It also goes without saying that bike hire is a good idea if you want to see beyond the Old Centre and Canal Ring. Amsterdam’s museums: The Van Gogh Museum, the Rijksmuseum and the Museum het Rembrandthuis are packed with Dutch Masters. While the Stedelijk Museum has the Mondrians and Matisses among other more modern treasures. The Hermitage now has an outpost in Amsterdam and you can also visit the Rembrandt House museum. 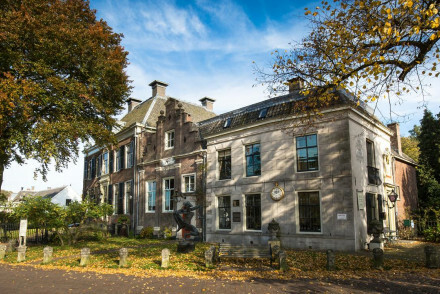 Near the top of Rotterdam’s list of world class museums is the Museum Boijmans van Beuningen which has a superb collection of both Dutch and European old masters. Impressive works from all eras, including many Monets several works each by Gauguin, Van Gogh, Degas, Magritte, Man Ray, Marcel Duchamp and Salvador Dali. In addition there is a city museum, the Rotterdam Museum, two maritime museums and a war museum. The Hague’s Plein, which translates to 'square' is one of the old city's most charming, with some of The Hague's most historic buildings, as well as a good selection of outdoor cafes and shopping opportunities. Just northwest of the Plein is the Binnenhof - parliament house - which was once a castle surrounded by a moat. Also nearby is the small but impressive art collection of the Mauritshuis, which includes Vermeer's Girl with a Pearl Earring and View of Delft. The Hague also has the Escher in Het Paleis (mathematical museum), which houses works by the prominent Dutch artist M.C. Escher who applies mathematics and geometry to his graphic art. It’s also worth visiting the International Court of Justice and the International Criminal Court. Utrecht is one of the oldest cities in the Netherlands, and has the charm and visitor appeal of being built around a series of split-level canals in the medieval centre. The Zaanse Schans Open Air Museum is a wonderful way to see the Netherlands as it once was. Schiedam is known for having the world’s tallest windmills. Many of the best places to stay in Amsterdam occupy the tall, narrow canal houses built for merchants and now restored and converted. Our favourite examples include Hotel Estheréa, situated in a 17th century building next to the city's oldest canal. It sounds kind of old school, but is actually very lively. The Seven One Seven Hotel is a wonderfully historic canal-side address with beautiful, unique interiors in each of the nine bedrooms, and every luxury. A recent trend has seen the conversion of handsome public buildings into glossy new addresses such as the College. It provides hope for the future as the staff here comprises trainees from the city's Hotel Management School. 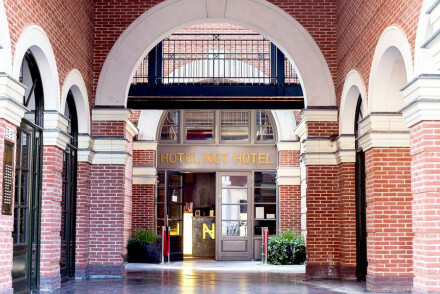 Another contemporary favourite would have to be The Conservatorium, originally a bank then a music school and now a hip, buzzy hotel ideally located for all that the city has to offer. Misc is a hip hideaway, ideally situated for the city's cultural and fashion districts. With only six rooms it's in great demand, so book early! The Sir Albert is a smart, almost masculine, modern hotel with a fantastic Japanese restaurant and 84 luxurious rooms and suites decorated in white with dark wood and all the modern gadgets you can imagine. There’s also a wonderful library, a spa and a fantastic wine collection. 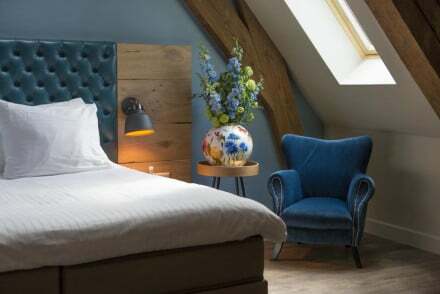 The Blue Sheep B&B is an adorable, eight room, family-run B&B in central Amsterdam with lovely exposed brickwork and wooden beams. It might seem strange but the Mainport Hotel is the only hotel in Rotterdam with a pool. We’re not saying you need it but lots of us find it nice. Aside from that it’s a swanky, designer hotel overlooking the harbour. The rooms are colourful, with excellent details - some have saunas and whirlpool baths. Formerly a Palace, the Hotel des Indes, offers palatial rooms, a fabulous spa and one of the best central locations. The Paleis Hotel is a lovely, 20 room boutique hotel with a romantic feel. 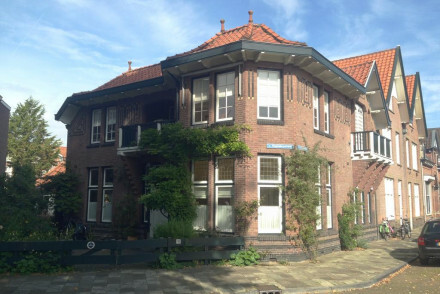 Rooms are sophisticated and you're right in the centre of town by the Binnenhof. The Hotel Savarin is a very reasonable canal side hotel with large rooms and suites and a Michelin recommended restaurant. There's also spa facilities and extra facilities for kids. 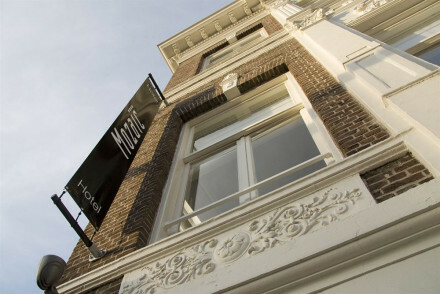 The Eye Hotel is an excellent contemporary, 36 room, hotel designed with meticulous style. The location is great and they have large family suites if you need one. 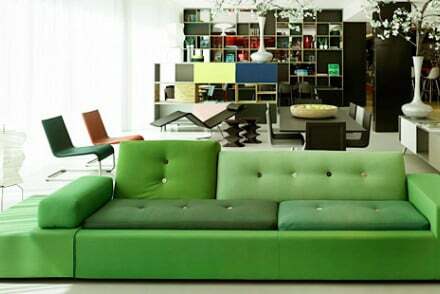 All the rooms are comfortable, with soothing colour palettes. Amsterdam’s Lloyd Hotel & Cultural Embassy is a beautifully renovated cultural hub with 117, uniquely decorated, rooms with modern Dutch designer furniture and original features. The location is hip and fresh and they have frequent art exhibitions and cultural events. The Hotel Roemer Amsterdam is a 37 room, Art Deco hotel in downtown Amsterdam, close to the art galleries and and Van Gogh Museum. As well as individually decorated rooms and a hidden, privately owned garden, the hotel also has a roaring fire in the lounge when required. 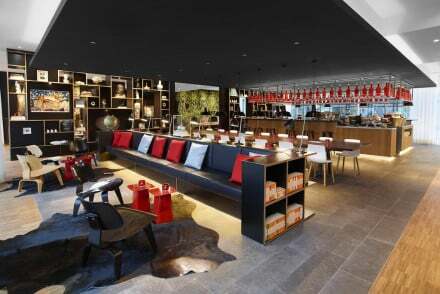 Converted from two, 17th century, canalised townhouses, the Hotel Toren is a rather lavish boutique hotel with 38 rooms. Plus and stylish inside, the location is a short stroll from a number of museums and galleries. And it’s got a Michelin star. Close to the Anne Frank house in central Amsterdam, the Hotel Estherea is another converted 17th century canal side townhouse. The decor is extravagant - think chandeliers and mahogany panels, and the suites are large. Amsterdam Airport Schiphol is by far the largest airport in the Netherlands, also the world, and it’s extremely well connected. Rotterdam Airport is the third largest, but probably the second most useful. The Netherlands is also extremely well connected by European rail services. You can also drive in from Belgium or Germany, or catch the ferry from the UK. The Netherlands enjoys a mild climate, and neither extreme would prevent you from visiting. July and August are the most popular times for visitors, but that’s more due to summer being a season for holidays than a particular appeal. Spring, with its tulips and other flowers, is a wonderful time to visit, but it’s quite popular too. Whenever you choose to visit it’s worth carrying an umbrella, as the weather in the Netherlands is known for being unpredictable. Still not sure which is the best place to stay The Netherlands for you? the best places to stay in The Hague, or Rotterdam? An elegant guesthouse set in the heart of Utrecht. Spacious rooms are cleanly designed yet still have a traditional feel with large sash windows, polished wooden floors, a choice selection of antiques and white washed walls. A very comfortable base to explore the city from. Local exploring - Ideally placed within walking distance of many of the city's main attractions. Great walks - Take a walk around the beautiful Wilhelminapark. Sights nearby - Stroll down to view the Dom church and Tower. A converted Renaissance castle, steeped in Dutch history, with wooden beams and antique furnishings. Seven traditionally styled en suite rooms, each with a garden or river view. Guests are invited to relax in the garden, enjoy the ornament filled rooms and be inspired by the architectural fusion. Located in the beautiful Archipel area Mozaic provides a chic base for travellers looking for something different. Rooms are modern, with black white and silver palettes, some with open plan bathrooms all with music systems and coffee making machines. Free wifi makes this a hipster haven! 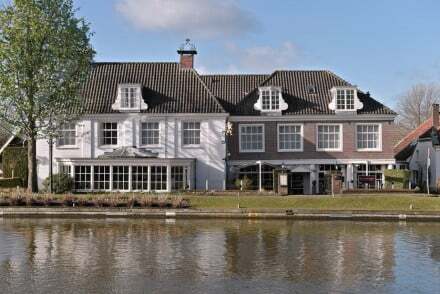 Fabulous canal side hotel and spa with a Michelin recommended restaurant. Large rooms and suites have light wooden floors, all the mod cons, and large comfy beds. Lovely terraces have canal views, fantastic food, and extensive spa facilities. A lively spot for all out pampering. Foodies - Michelin recommended restaurant. An elegantly restored old railway station and now boutique hotel with large stylish rooms, all creatively decorated with splashes of bright colour. Rooms come with a walk-in showers, Nespresso machines and kitchenettes. Well positioned to access both Amsterdam and its scenic surrounds. Local exploring - Well positioned to explore all Amsterdam has to offer as well as the surrounding countryside. Sights nearby - Visit Ann Frank's house in nearby Amsterdam. A charming countryside B&B just 10km outside of Amsterdam. Originally built in the 16th century the decor is contemporary but keeps the buildings charm. Surrounded by sweeping green pastures and winding rivers, you can hire the hotel's boat to tour the area. A relaxing stay. Country Escape - By lakes, rivers and rolling green pastures that stretch on endlessly into the horizon. 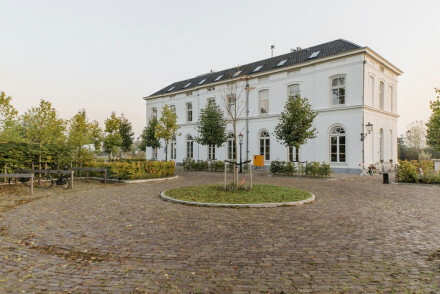 Local exploring - Ideally located in a quiet spot to just 10km from Amsterdam. Sailing - Take a cruise along river Amstel directly into central Amsterdam. This idyllic riverside hotel and restaurant is set in a pretty, peaceful village. One of the oldest inns in The Netherlands; behind the 17-century facade, are bright, comfortable rooms with traditional décor, and a restaurant that uses only seasonal ingredients. A warm and stylish country retreat. 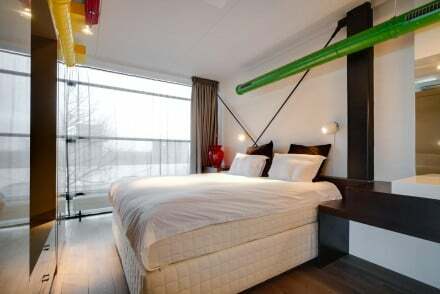 Elegant and airy designer hotel in the 'green heart' of Holland. Spacious and stylish suites all feature flatscreen TVs, writing desks and walk-in showers. Dine in the locally popular restaurant. A charming base to explore the region from. Local exploring - Amsterdam, Rotterdam and Utrecht are all easily accessible. 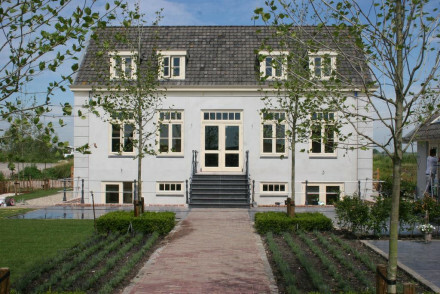 Great walks - Take a historic walking tour through picturesque Woerden. Sights nearby - Visit the impressive Castle De Haar.